Startups are taking over CES. 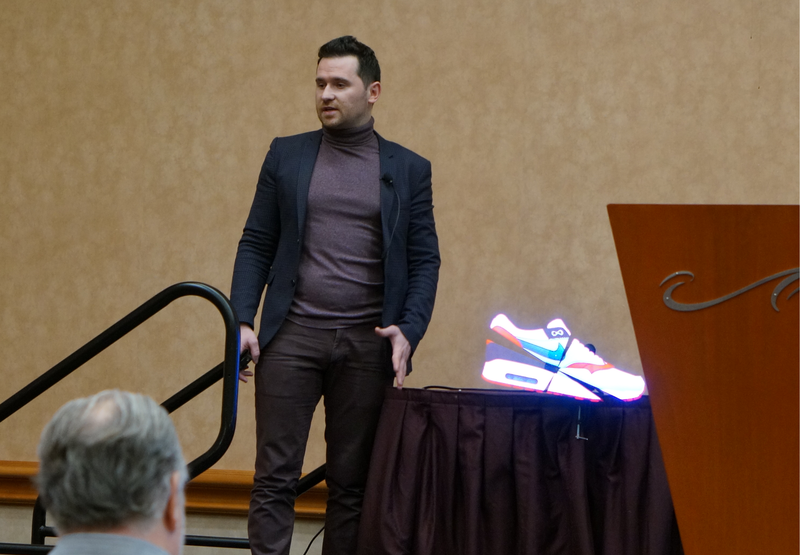 While the Sonys and Samsungs of the consumer electronics industry are presenting their latest and greatest devices today, hundreds of companies are also making their way to Las Vegas to present some nifty hardware products. That’s the reason why TechCrunch is organizing the Hardware Battlefield. It’s just like the Battlefield startup competition at TechCrunch Disrupt, except with hardware startups exclusively. ShowStoppers has also been running a startup competition for the past five years. We wanted to see what LaunchIt was all about, so we went to see the finals and check out those companies. 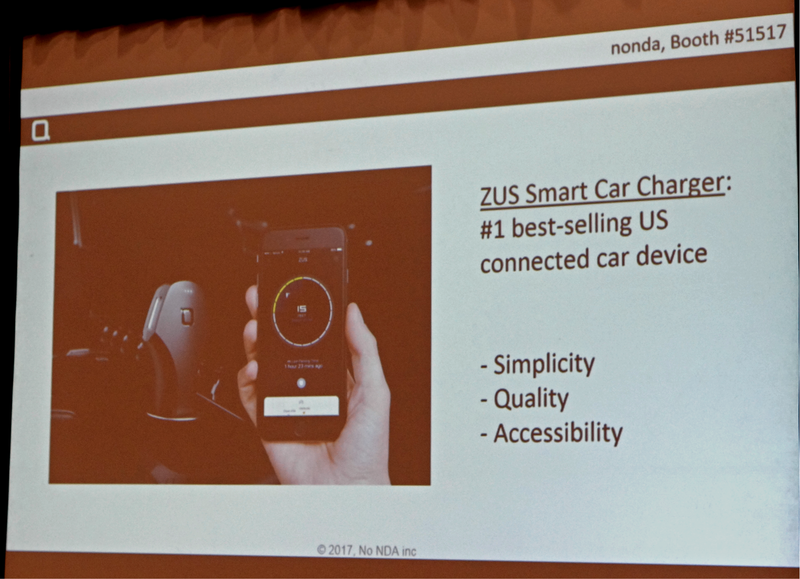 Without further ado, meet the 12 finalists of the ShowStoppers LaunchIt startup competition — which was won by Nonda. Akoustic Arts is a French startup of six people. 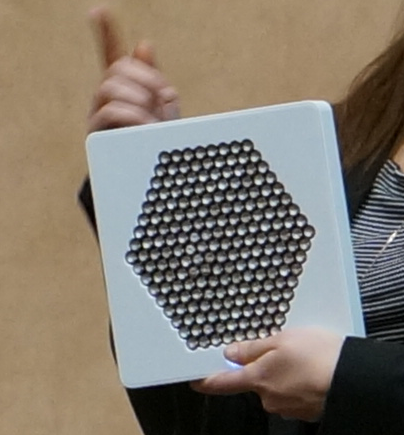 The company is launching the A, a directional speaker. It’s like a traditional speaker, but it creates a very targeted sound. You have to stand in front of the speaker to hear the sound. For instance, this could be quite useful if you’re watching TV and you don’t want to disturb the rest of the house. There are other directional speakers out there, but Akoustic Arts is saying that competing speakers are much bigger. 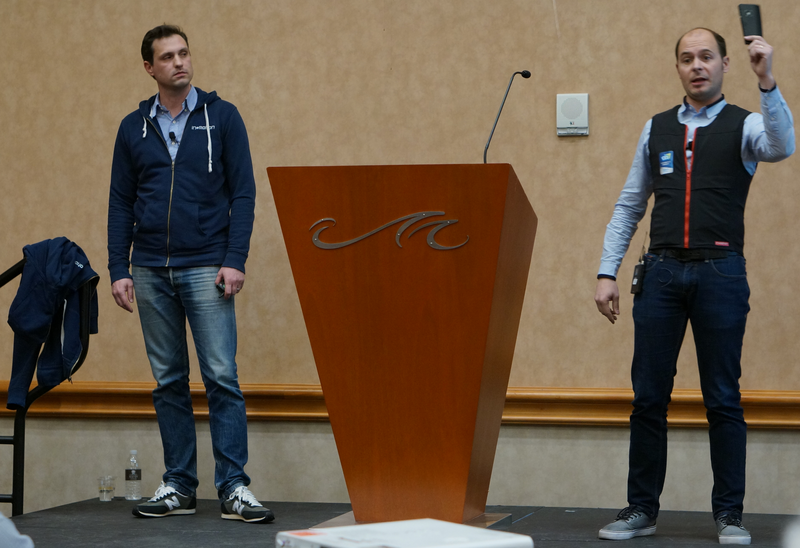 The startup plans to sell the speakers to malls, museums, hotels and event spaces. For instance, you could stand in front of a painting to listen to the description. Second, the company plans to integrate the speaker with various OEMs, such as TV makers. The company is looking for $3 million. Akoustic Arts is already talking with various partners, such as the Musée des Confluences in Lyon, Vinci, AccorHotels, etc. We got a live demo of the speaker. It’s a Mac Mini-sized device and it worked as expected. Now let’s see if they can turn a cool product into a lucrative company. 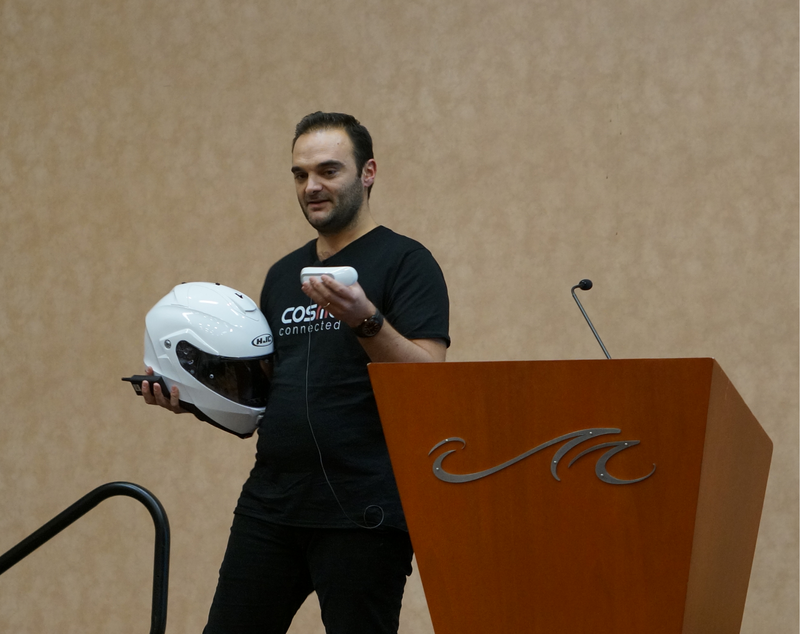 Cosmo Connected is a connected helmet for cyclists, skiers and other sports enthusiasts who engage in sports and other activities that are dangerous enough to require head protection (downhill skateboarders maybe?). The idea behind the product is to help riders (be they on a fast motorcycle or a Vespa) avoid accidents. The main reason for accidents, the company argues, is due to other drivers not seeing the motorcycle riders. The product aims to solve two issues: help riders be seen and — in case that doesn’t work — alert the emergency response. Because riders often slow down without tapping the break, the helmet includes an accelerometer that triggers the break light when it notices the motorcycle is slowing down. When you fall or have an accident, the built-in gyroscope will notice this and trigger an alert on your phone to check if you are okay (which should also help avoid false alarms). If the rider doesn’t respond within a set time, the application will alert your emergency contact, as well as the local authorities to dispatch an ambulance. Over time, the company plans to bring its technology to other markets. This includes cyclists, skiers and other sports enthusiasts who engage in fast and risky activities. The product will retail for $99 and will be available in May. FoldiMate is a laundry folding machine. That’s basically all you need to know. As a coworker once said, many tech companies are trying to replace your mum with technology so that you don’t have to do things that adults normally do. 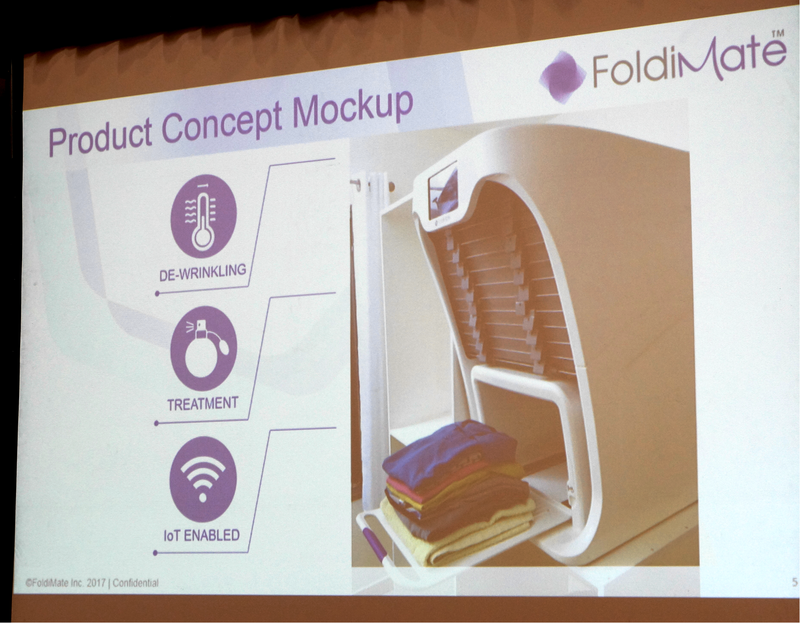 FoldiMate’s concept can de-wrinkle and fold your clothes. The company’s concept video from June 2016 got a lot of views. The company then managed to attract 7,000 pre-orders. We saw a video of a prototype. You feed your clothes to the machine from the top, one by one. A couple of minutes later, you get a pile of folded clothes. It’s hard to tell from the video if it’s an actual working prototype (Update: FolidMate has now shown us the working prototype. It works). FoldiMate plans to ship at the end of 2018. Good Parents is a machine learning startup that focuses on health and well-being. 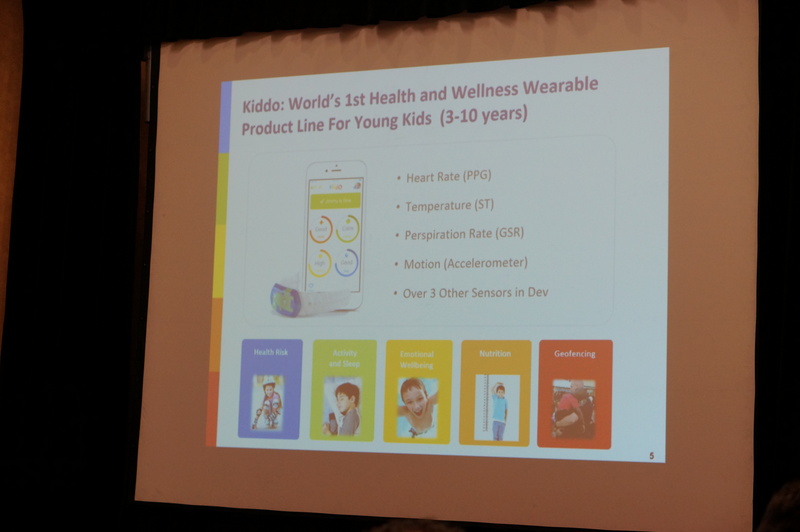 Its first product is the Kiddo — a wearable for kids that’s essentially a Fitbit with a cute sticker on it instead of a display. The Kiddo tracks hear rate, temperature, perspiration rate and motion. The company argues that most parents who want to monitor their kids’ health today only have very crude tools at their disposal. As Good Parents CEO CJ Swamy argues, his competitors simply aren’t focused on a kid’s well-being and instead focus on tracking a child’s location or movement, but nothing else. He also noted that a kid’s biometrics are very different — and kids also tend to toss and turn far more often while they are sleeping than adults do. The idea here is to build an ecosystem for better healthcare management for kids — before they get sick. The plan is to ship the device in the first week of March. It’ll retail for between $99 and $119. For now, the Kiddo can only talk to iOS. The company, which has already raised about $2 million, has teamed up with insurance companies in the U.S. and Asia. HoloLamp is an augmented reality device. It uses an optical illusion to trick your mind into thinking that you’re looking at 3D objects. The device looks like a nightstand lamp. It uses face tracking so that the object changes as you move your head. This way, you think you’re looking at a 3D object. There are some interesting industrial applications. If a doctor wants to explain what’s happening with your heart, it’s a more visual way to explain the situation. The startup is also thinking about board games. Finally, you could use the HoloLamp for communication applications. The device is going to cost around $1,000 initially. It uses a pico projector and a few cameras to track your face. In&Motion, just like Cosmo Connected, aims to keep motorcycle riders, skiers, horse riders and bikers safe. The company makes a smart connected wearable airbag that automatically deploys when it senses an unavoidable fall. The device, which is essentially a jacket, constantly measures its wearers’ movements and then inflates when necessary. Unlike other airbags, the In&Motion airbag is reusable and users can simply deflate it and replace the air capsule to use the same jacket again. The company’s jacket for skiers is already available in shops and the company is previewing its jacket for motorcyclists at this year’s CES. No matter the market, the system consists of the inflatable jacket, as well as the “In&box” device with all the sensors that can also talk to your phone. The company is already working with a number of ski companies that distribute the airbag, which costs about €800, to about 200 shops in Europe today. After cornering the motorcycling market, the company plans to take on the horse-riding market, which is well-known for its fondness of innovation. Next. Kino-mo is working on holograms. It’s a fan-shaped device that you clip to a table. It then spins to create a sort of display that floats in the air. I must say that it looks quite good. It has four narrow screens and tricks your mind into thinking that you’re looking at a hologram once it spins. It’s going to cost between $700 and $3,000, depending on the size. The startup wants to help companies create engaging advertising campaigns. All major billboard advertising companies have gotten in touch with Kino-mo, including JC Decaux. Nonda aims to make any car — even an old one — a connected car (just like every other connected car company, like Automatic). As Nonda CEO Nick Staubach noted, the vast majority of U.S. cars (over 75 percent) still don’t support Bluetooth (though that number is obviously declining quickly). With more than a billion cars on the road, though, that’s still a big market. The company says it makes the best-selling U.S. connected car device already, thanks to its $30 ZUS Smart Car Charger. Staubach argues that the company’s focus on simplicity, quality and accessibility (in terms of the cars and phones it supports) has allowed it to corner a large chunk of its market. At CES this year, the company is launching a number of new products, including a key finder, a tire sensor and a very strong cable. Parihug is a device that lets you hug another person across the internet. It looks like a teddy bear. The harder you hug it, the stronger the response will be at the other end. If you miss a hug, you’ll get an alert on your phone as you can connect your Parihug to your phone using Bluetooth. The company is thinking about military spouse networks as a good market, for instance. It’s also a good way for a parent to stay connected to their children. Revinax wants to help people learn better through the help of what it calls “immersive tutorials.” The company’s CEO and co-founder M. Ros is a surgeon and his company has long been involved in using virtual reality to train doctors. The surgical workforce, the company argues, will have to expand greatly over the next few years, but in many countries, access to doctors who can teach is lacking. Revinax uses 3D cameras to film surgeries and doctors can then use their VR helmets to study another doctor’s technique. Given that these videos can easily play on smartphones, the company’s tutorials are also easily available to virtually any surgeon. The company has teamed up with companies like Baxter, Boston Scientific, Coloplast and Stryker to develop tutorials for them. Looking ahead, Revinax plans to enter the U.S. market and raise its first funding round. 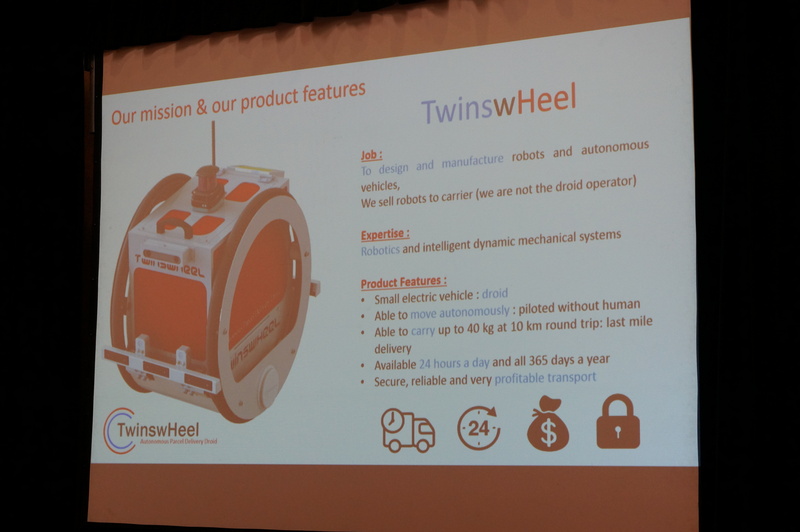 TwinswHeel was created by twin brothers from France. Benjamin is an automotive and aeronautic engineer, while Vincent is an automotive system engineer. TwinswHeel is an automotive vehicle for carriers. It looks like a small droid with two bicycle wheels on each side. It can carry 40kg over 10km, which makes it great to deliver all kinds of packages. While many companies like Amazon are working on delivery drones, a ground droid like this one could also be a useful solution. The main market is obviously going to be e-commerce. With one droid, you can deliver the equivalent of three Postmates deliveries. And, obviously, it could also be much cheaper. So the next time you see someone riding a bike with a Deliveroo or Postmates bag, think about the robot that could replace them. The droid has four cameras to make sure that nobody is going to steal a package. Wezr is a mobile weather station that automatically corrects standard weather forecasts that tend to cover a large area to better match your exact location. 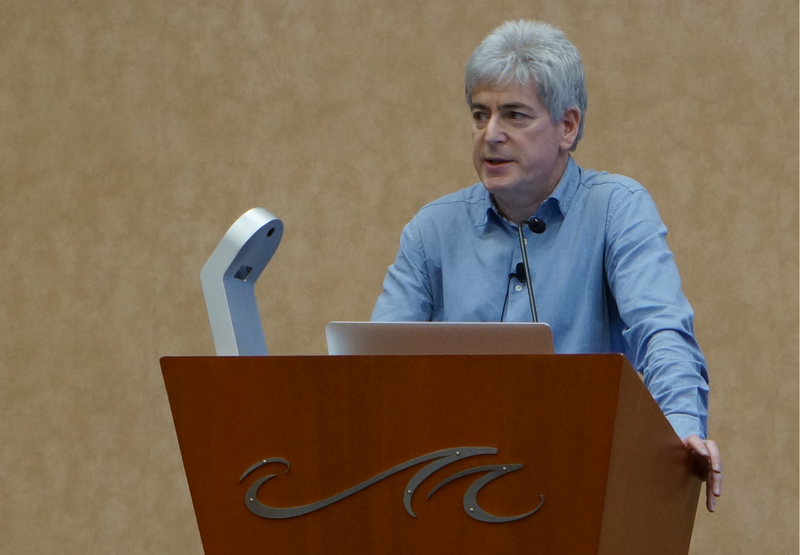 Wezr CEO Stephane Diner argues that the impact of weather on the U.S. economy is close to $2 trillion. The company plans to first target the outdoor sports market. It’s launching in France in a few weeks and has raised just over $800,000 so far.